Selim A. Bassoul is CEO and Chairman of Board of The Middleby Corporation. Mr. Bassoul is responsible for the overall strategic direction of the company and overseeing the senior management team. He is also co-founder of the Bassoul Dignity Foundation. Mr. Bassoul has led The Middleby Corporation to continued growth since becoming Chief Executive in 2000, as sales have grown from $101 million in 2001 to $2.5 billion in 2017. He has also spearheaded dozens of acquisitions and led the expansion into three business platforms which today encompass more than 70 brands operating under The Middleby Corporation banner. 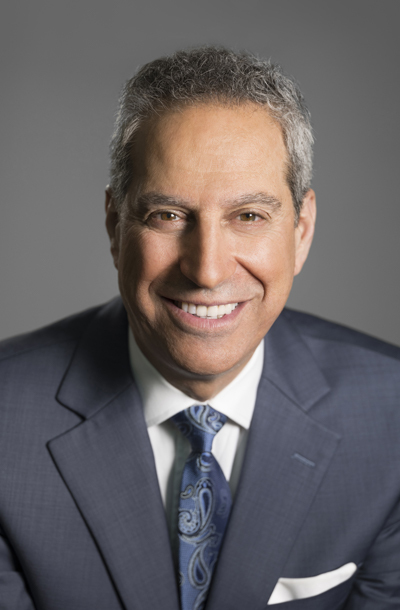 Because of his innovative and effective management and marketing style, Mr. Bassoul has earned the reputation as an “unconventional executive”, and has been featured on The PBS Nightly Business Report, CNBC and Bloomberg News along with print publications Fortune, Forbes, Wall St. Journal and others. In March, 2013, Tom Gardner, CEO and founder of the Internet investing website The Motley Fool, called Mr. Bassoul his “Favorite CEO of All-Time”. The Middleby Corporation was named to the Forbes Best Small Company list every year from 2004-2013, and was a Fortune Fastest Growing Company, 2014. His results-oriented management style has been used as a case study in several to business books, including Mastering the Essentials of High-Growth Companies (2010), which was written by best-selling author David G. Thompson. The Harvard Business School and Kellogg School of Management at Northwestern University have written case studies of Mr. Bassoul’s management style, as well as his turnaround of The Middleby Corporation. Central in Selim’s life is giving back. Through his foundation, The Bassoul Dignity Foundation, he has developed a wood burning stove for relief efforts. He has personally delivered the stoves to refugee camps around the world and to areas devastated by natural disasters including most recently Puerto Rico and Haiti. Between relief efforts and refugees, Selim and the Foundation have donated thousands of refugee ovens with more planned throughout 2018. In 2016 he was recognized at the E&Y World Entrepreneur of the Year event, receiving the award for Social Impact.